The eyesight of a Bald Eagle is impressive. Part of the reason for their excellent vision is that these birds of prey have two centers of focus (foveae), which allow them to see both forward and to the side at the same time. Cone cells, one of three types of photoreceptor cells in the retina, perceive color, fine detail and rapid movement. In a human, the fovea has 200,000 cones per millimeter; in the central fovea of a Bald Eagle’s eye, there are about a million cones per millimeter. An eagle’s eye is almost as large as a human’s, but its sharpness is at least four times that of a person with perfect vision. 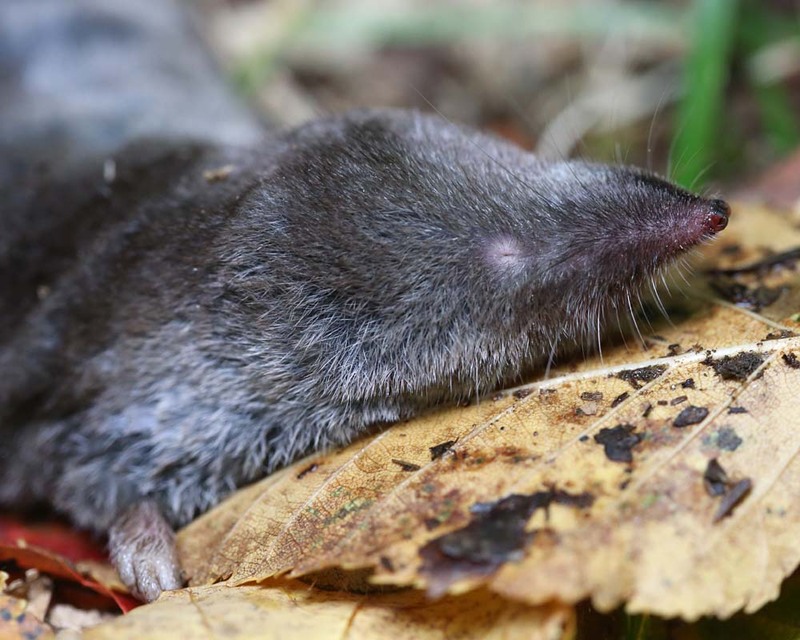 Shrews have a very high metabolism and spend most of the day and night hunting for food. Subterranean worms and insects are their main prey, which means that a lot of their time is spent in tunnels, where there is little, if any, light. Consequently, shrews have little need for large eyes or excellent vision, neither of which they have. Some of you may have seen Animal Eyes, which was the first of a series of children’s books I am writing about animal anatomy. Just as Animal Eyes took a look at the adaptive differences among different animals’ eyes, Animal Mouths describes the wide range of animal mouths. From birds to butterflies, different mouths and mouth parts are illustrated with photographs and their adaptations for different diets are discussed. Carnivores, herbivores and omnivores are included, as well as an educational section at the end of the book which provides children with photographic/textual “mix and match” activities that reinforce information presented in the main text. Available from the publisher (click on cover image to the right), independent bookstores (most will order if it’s not in stock), online and from me (from those of you nearby). This fall the third book of this series, Animal Feet, will be released. 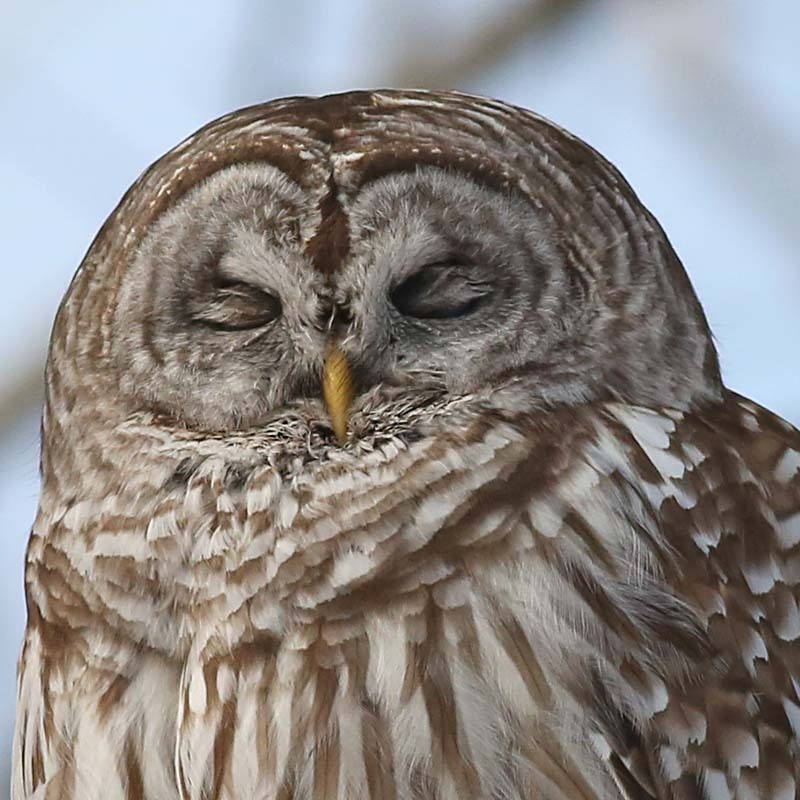 Birds have three eyelids – an upper eyelid, lower eyelid and a third semitransparent membrane called a nictitating membrane that sweeps across the eye much like a windshield wiper. This membrane keeps their eyes moist, and protects their corneas from being scratched. Animal Eyes is the first of a series of early childhood books on animal parts which I am currently writing (mouths, tails, feet, etc. to follow). 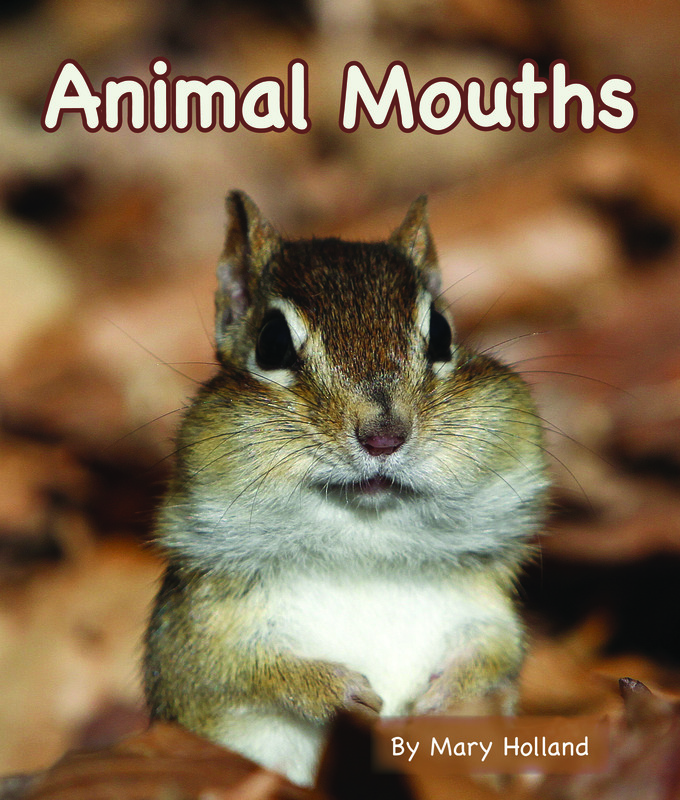 This book takes a look at the eyes of a variety of animals and explores what their size, number, color and position tells us about the life style of animals as far-ranging as owls, flying squirrels, spiders and dragonflies. Appropriate for ages 3-8. Accompanying the text for each animal is a two-page, close-up photograph. 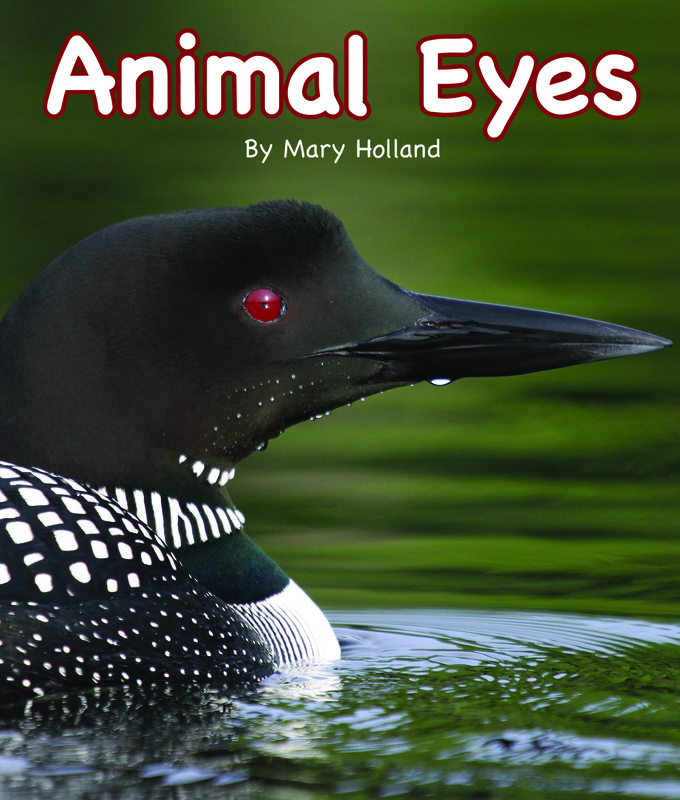 “Animal Vision Fun Facts,” a “Match the Eye to the Animal” activity and an illustrated Glossary provide additional educational information at the end of the book. 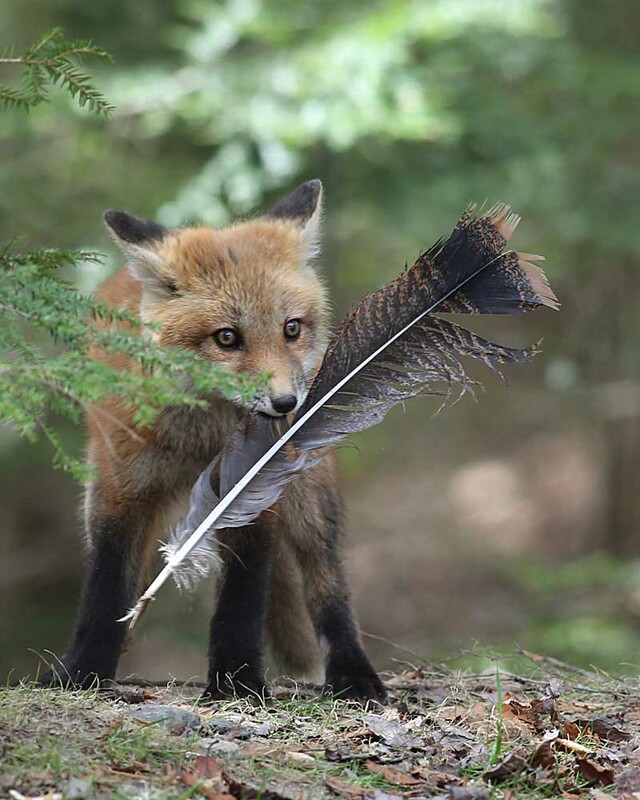 This two-month-old Red Fox kit (blue eyes turn brown after the age of two months) amused itself for several minutes with this Wild Turkey tail feather – tossing it up in the air, pouncing on it, chewing it and just carrying it around to impress/taunt its litter mates. Kits are old enough to spend much of their day above ground now and their antics are entertaining, to say the least. While parents are off during the day hunting and/or getting a rest from rambunctious offspring, said offspring amuse themselves by digging, scratching themselves, chasing each other, grooming themselves and chewing on any and everything, from sticks and leaves to the remains of past meals, such as feathers and bones. 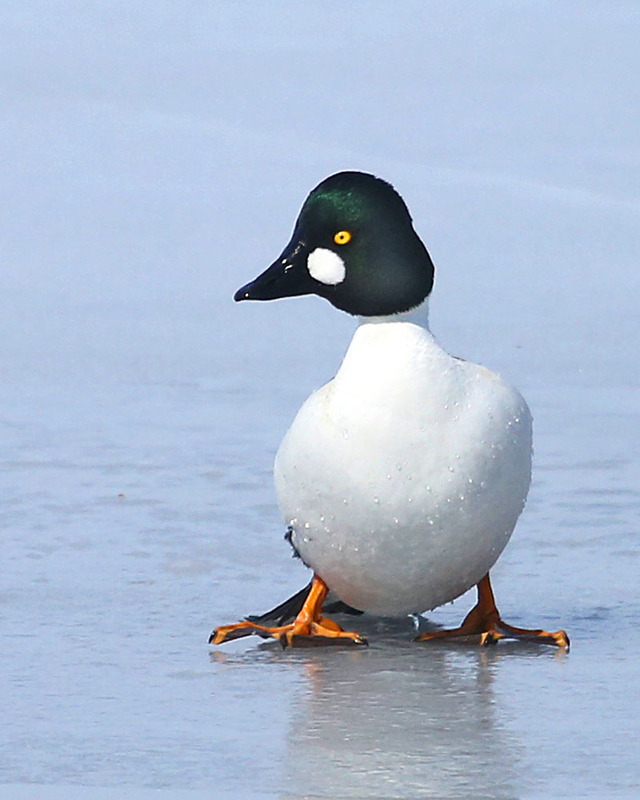 Common Goldeneyes, birds of the boreal forest, overwinter as far north as open water permits, which includes parts of northern New England most years. These birds get their common name from the color of their eyes, but their eyes don’t attain this golden color until their first winter. When they hatch, Common Goldeneye ducklings have gray-brown eyes. Their eyes turn purple-blue, then blue, then green-blue as the ducks age. By the time they are five months old, their eyes are pale green-yellow. They turn bright yellow in males and pale yellow to white in females by mid-winter.